I want to thank the Administrators of this page. 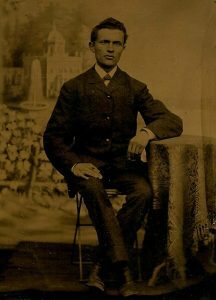 Two years ago I posted an inquiry looking for information on my wife’s ancestor Ferdinand Pollnow 1825- 1886, and his family. I listed names of his daughters and their husbands. Ferdinand was born in Ragnit to Samuel, and died in Goldap, before the family moved back to Tilsit. Last month Robert Gregory, our new cousin, found my original post and recognized the names from a handwritten family tree that his mother had in Sydney Australia. The tree was created in stages from 1917 to 1985, started by Hans-Moritz Pollnow of Koenigsberg 1902-1943. Robert sent me the tree and support information and we added almost 150 new names of Pollnow decedents Happy to the few names that we had. The tree added four new generations that proceeded Ferdinand’s, going back to 1720. It also shows the family dispersed across many countries starting in the 19th century. This Facebook page will have made possible our ability to keep the Pollnow history alive and current. Dear Dr. Ruth, I thank you so much for your letter keeping me in touch of the work you are doing and where the exhibition re the Jewish community of East Prussia for which I sent you some of our family’s photos. I wonder if you would be so kind as to let me know when and where the exhibition will be held when it gets to Israel as I have cousins there who would be most interested to see it. I also wonder if you will ever come as far as Australia? Dear Dr. Ruth Leiserowitz, I would like to thank you once again for the invitation to the seminar „From Breslau via Gdansk to Koenigsberg“. The participation in the seminar provided me with numerous informations on various research issues which different organisations are currently occupied with. I was also able to gain a wider insight in the history of Jews in Silesia – and not only in East Prussia, but also in the whole German territory. Not minor important was for me the possibility to get to know people who are working with similar topics. I am convinced that the contacts I made during the seminar will be useful for the future cooperation. The participation in the seminar gave me motivation for the prospective work in the given range of topics.